Max Reinhardt introduces sounds from Korea. Plus a new release from contemporary music group Nadar Ensemble and a piece from composer Michael Finnissy. Max Reinhardt looks ahead to London's K-Music Festival 2016 with music from Korean traditionalists Jeong Ga Ak Hoe, who perform folk songs from the north and repertoire from the Korean travelling music groups of the 1940s. Plus a new release from contemporary music group Nadar Ensemble and a piece from composer Michael Finnissy's beat generation ballads, performed by pianist Phillip Thomas. Produced by Alannah Chance for Reduced Listening. Kenya Special: Selected East African Recordings from the 1970s & ‘80s. Archives GRM: L'Art De L'Étude. 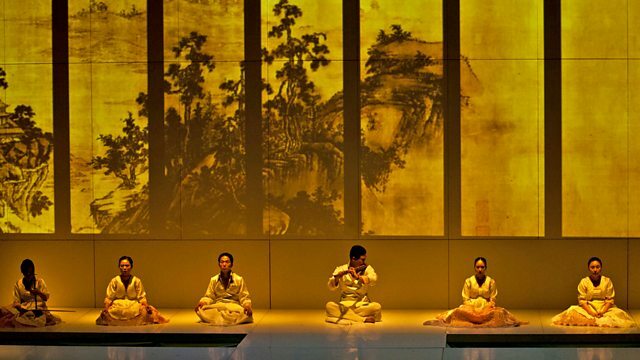 Pungnyu 5 - Contemporary Korean Music.